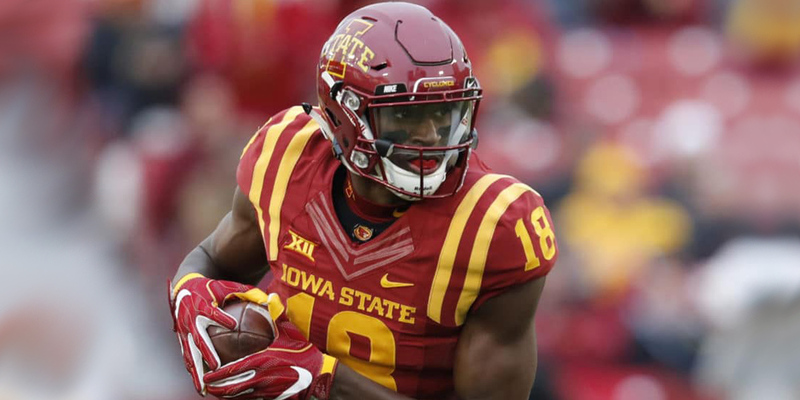 Hakeem Butler is flying under the radar in a stacked wide receiver class but deserves to be considered a top 5 pick in fantasy football rookie drafts. Butler (6’6″, 225) is a power player; he dominates undersized corners and works the middle of the field with no fear. Butler throws blocks like a full back and has the athleticism to go up and go any ball thrown his way. He’s a well-rounded receiver that finished with my 3rd highest tape grade at the position. Butler broke out in his junior season (2018) at Iowa State. He caught 60 receptions for 1,318 yards and nine touchdowns. Butler’s impressive 22 yards/reception and his 43% dominator rating shows off his big-play potential. You shouldn’t be surprised that Butler is flying under the radar this draft season, that’s the way it has always been for him. Butler was a 2-star recruit, according to 247 composite, coming out of high school. He was the 271st ranked WR in the 2015 high school draft class, but has now found himself as a top NFL prospect. Iowa State was Butler’s only Power 5 scholarship offer; he chose the Cyclones over just Houston (a local institution) and a handful of schools you’ve likely never heard of. Butler had a strong combine performance. His 40 yard dash time is awe-inspiring for a wide receiver who also measured in at 10.75 handsize, 35.25 arm length, and 83.875 wingspan. Butler’s height adjusted speed score (124.7) was 2nd best at the combine-just D.K. Metcalf outperformed him. Butler’s 18 reps on the bench press showed he has both the strength and speed to be a valuable fantasy football asset. Butler’s momentum should continue to grow, both in terms of the NFL and fantasy football drafts with his great performance in Indianapolis. Butler is an aggressive player; he has violent hands that help him create space at the line of scrimmage. He positions his large frame well to box out defenders and turns into a large and reliable target. Hakeem was, literally, a big problem for Big 12 defenders and drew a lot of defensive pass interference calls. His ability to be aggressive is surpassed only by his athleticism. Butler is long and can extend his body to layout for an off-target pass or go up and highpoint a seemingly uncatchable ball over the middle. He has great balance and stays on his feet while taking hits during and after catches. Harmon’s strength allows him to swipe off would-be tacklers and break off big plays down the field. He’s an aggressive blocker that tosses linebackers and defensive backs off him while sealing an edge. He has a high motor and finishes plays until the end, a trait that is sure to attract the attention of NFL coaches. Butler’s largest weakness is his lack of breakaway speed. Butler is fast off the line of scrimmage and can maneuver well to the second level. His speed, though, is capped and defensive backs close the gap on him downfield. Still, Butler has short quick movements and can make defenders look silly in space. Butler’s large frame, handwork, and blocking ability make him fit well in schemes that utilize RPOs and zone run elements. West Coast offenses often employ both of these to lure defenders into the box, opening up the 3rd level of the field for a big play. NFL coaching staffs are going to love Butler’s blocking ability. It could make him an attractive piece in a run-heavy offense. Zone run elements depend on reliable blockers to open holes in the middle and seal edges for dynamic plays — Butler’s tenacity when blocking could help with the latter. Butler’s skill set gives him big-play potential that could skyrocket him to WR1 territory within his first three years in the NFL. He’s athletic, positions his body well, and is an aggressive player at the line of scrimmage and downfield. His floor may be high, but he needs to land in an offense that will compliment his athleticism and not his aggressiveness. Butler is projected to be a late 1st round-mid 2nd round pick in April’s NFL Draft. 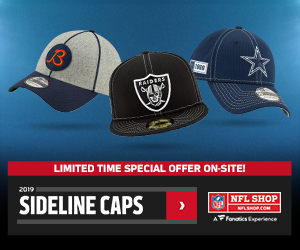 There’s a slew of teams that need an infusion of talent in their wide receiver corps; some of those teams would give him that WR1 potential fantasy football players would love. Some of them, however, would significantly lower his ceiling. The New England Patriots (32nd overall pick) use a complex offense that involves a range of scheme elements. Butler could turn into a dynamic “X” receiver with Bellichik’s creativity and Edelman opening up the field for him. Butler could also benefit from landing with the San Fransisco 49ers (36th overall pick). Kyle Shanahan would appreciate Butler’s blocking ability while allowing him to release over the middle of the field in his RPO heavy offense. Fantasy football players may hope Butler slides to either New England or San Fransisco, but there are 2 NFL teams that might not let that happen. The Seattle Seahawks (21st overall pick) could be interested in adding Butler to their run-heavy offense. Seattle ran the ball 451 times (28 carries/game) in 2018; Butler’s blocking ability and athletic upside could compliment Baldwin and Lockett nicely. Baldwin and Lockett, though, saw just 144 combined targets last season-leaving little opportunity for Harmon to contribute early. Butler would also fit with the Baltimore Ravens (22nd overall pick). Baltimore’s change in offensive coordinators affirms their commitment to the run-heavy scheme that led Lamar Jackson to finish his rookie season with a 6-1 record as a starter. Butler would help support the running game while providing big-play upside to offset the likely loss of John Brown. I have high hopes for Butler as a long term dynasty asset. He’s got the potential to be a weekly big-play threat and WR1 sooner than later. It will, however, depend heavily on him landing on a roster that wants to emphasize his pass catching skills with a creative playbook.